Andy Lee is confident ahead of his WBO World title defence against Billy Joe Saunders in Manchester on Saturday night. Lee goes into the fight as the favourite and he believes he has too much for his rival. “It’s a good fight - he [Saunders] is fast, he’s quick, but technically he’s not as good as me. 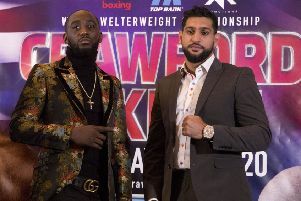 He’s not as strong as me and I have the reach on him, which I think is a big deal as well,” said the champion, who dismissed concerns about fighting in enemy territory if the fight goes to points.